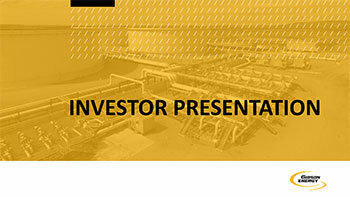 In 1953, Hunting PLC, a British company, sees an opportunity in Canada’s burgeoning oil and gas industry. It creates Gibson Petroleum Marketing Company Ltd., to move and market crude oil, and becomes one of Canada’s first midstream companies. 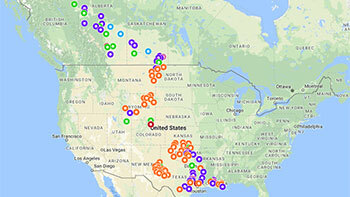 Gibson makes its first shipment sale to the British American Oil Company - 366 barrels of crude oil for $673.55. 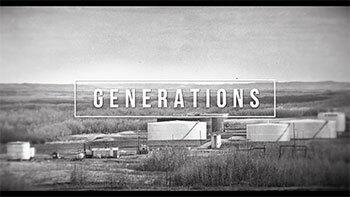 Throughout the 50s, Gibson expands into trucking, rail cars and pipelines to move crude oil throughout Western Canada. Gibson turns its attention to Hardisty, Alberta, and builds a gathering pipeline system to serve the Bellshill Lake and Thompson Lake fields. 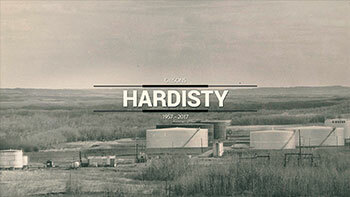 That same year, it adds two 20,000-barrel tanks at Hardisty to collect and move oil from Western Canada to the east. Gibson is the first company to construct storage tanks at Hardisty. The Bow River pipeline ties in to the Hardisty terminal; it is the first trunk line outlet for southeastern Alberta crude oil. By the mid-60s, Gibson's Hardisty facility pumps over a million barrels of crude annually into transmission lines destined for refineries in Eastern Canada and the U.S.
Gibson acquires its first two insulated semi-trailers to haul heavy crude. The big yellow trucks become synonymous with Gibson.